Have you ever wondered why California is known as the Golden State? Well, there could be a few explanations. The nickname could refer to the gold rush in 1848, the vibrant golden poppies that you will find throughout the state or the golden sun that seems to shine every day, all day. The seemingly endless sunshine contributes to the positive outlook that many people have of California. After all, who doesn’t love endless summer? The relaxed spirit, the optimistic attitude, the ocean-ready wardrobe. Sign me up! One can’t think of California and not think of the beautiful beaches and the ocean. The ocean gives off vibes of freedom and serenity, which could explain why people often associate California with freedom, optimism and relaxation. The beautiful blue shades of the ocean are fresh, invigorating and versatile. Blue happens to be one of California’s state colors because it represents the sky and the sea. Take advantage of these positive vibes by incorporating the color blue into your next promotion! California has long been known as a trendsetter in more ways than one. From politics and culture to technology and fashion, California seems to have a big impact on the rest of us. California’s ocean-ready fashion is quite intriguing, especially to people who can’t wear that type of clothing year round. Think tank tops, flip flops, beach towels, sunglasses and board shorts. Board shorts, originally worn by surfers, have become increasingly popular in North America, and their popularity has spread beyond just surfing. 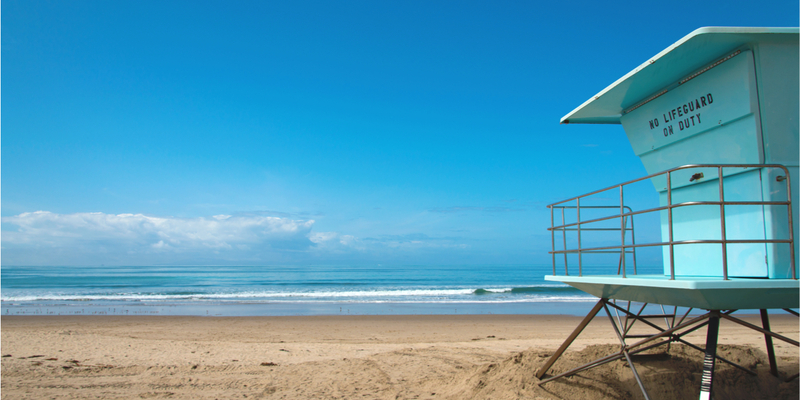 With such an appeal toward California and its endless summer, there has never been a better time to incorporate California-inspired products into your campaigns. Make sure that your audience has a positive outlook on your brand by offering products that help them relax and rejuvenate. Staples Promotional Products offers tons of summer items for your next sunny promotion. Have fun in the sun and promote your brand at the same time!